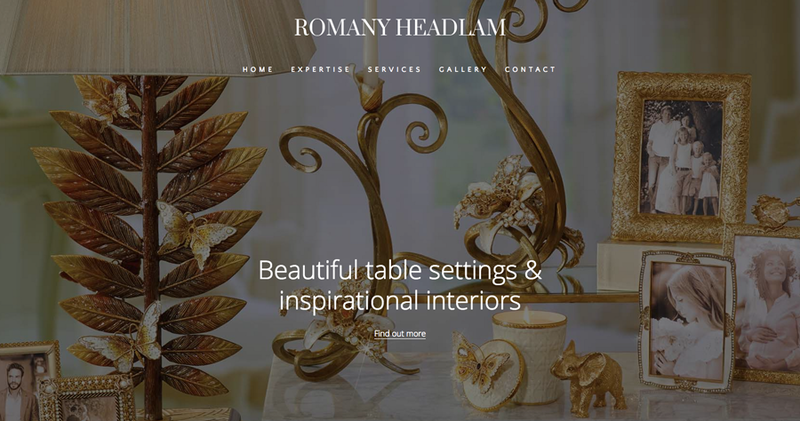 This week's website of the week goes to Romany Headlam. 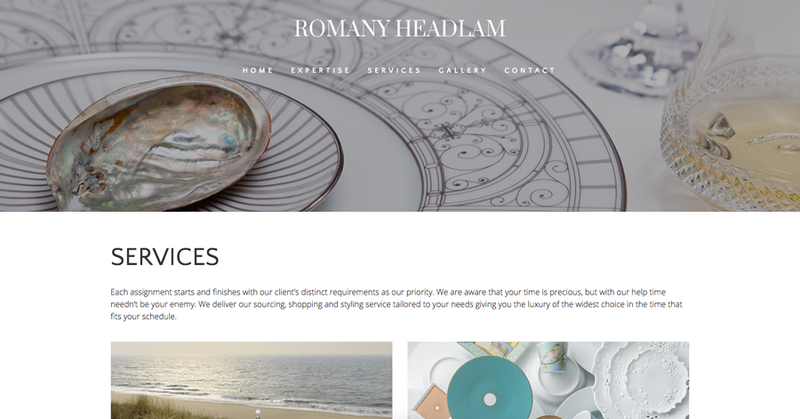 Romany Headlam sources and supplies exquisite tableware and decorative accessories from leading brands to private clients, interior designers, property developers and the yacht industry. The website doesn't have a colour scheme as the images are what provide the colours and detail. The rest of the site is neutral white, with dark grey text. The simple logo in white on the header area means it's eye catching. 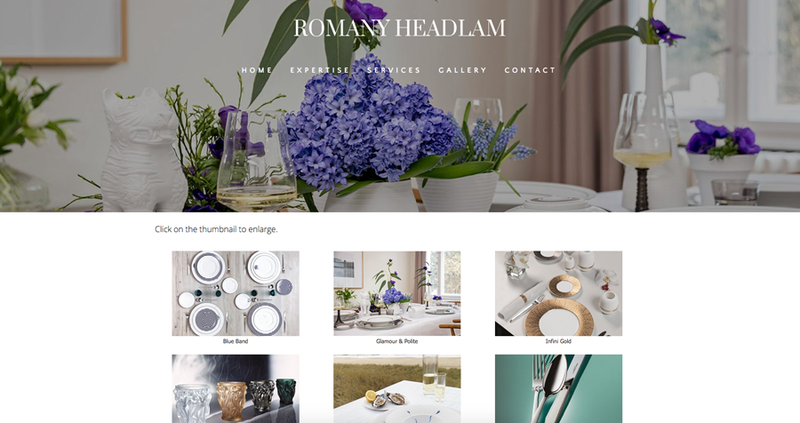 The website features a slide show on the home page, clickable buttons and galleries with fancybox pop up images so that you can view the larger versions. The website features the clients own imagery which really makes the difference in this design. 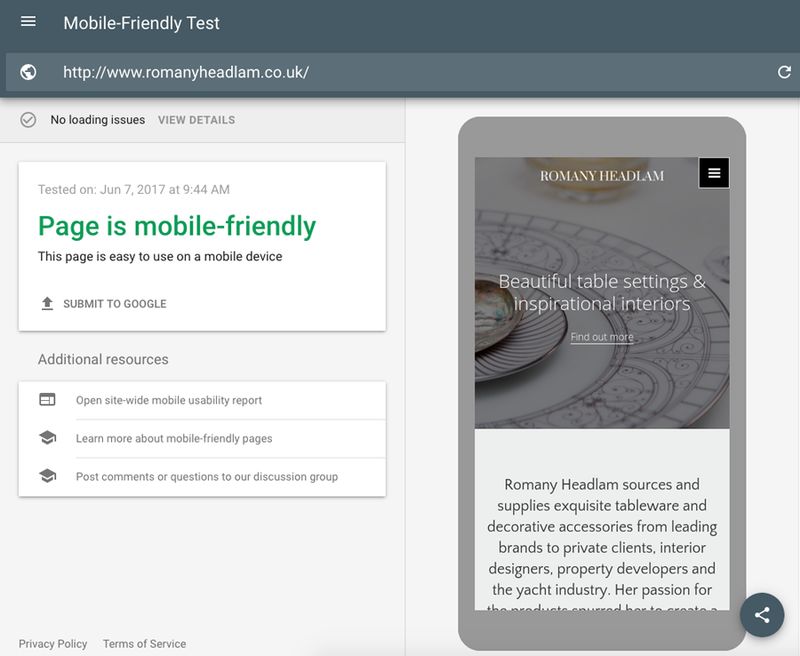 Those first images on the home page are what sets the first impression for any visitor to the site, so the fact that they are striking and engaging makes a real impact. Did you know... We provide websites for a number of industries. From plumbers and builders to architects and lawyers. We look forward to working with you!